Here is the latest commentary video in the I Ching series. This one covers Hexagram #8 - Union. 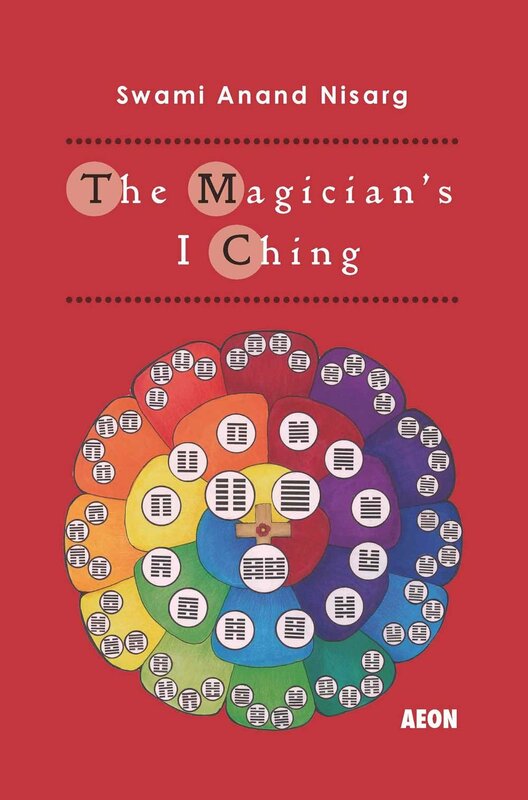 Members of the Yi Fa Society get access to additional I Ching video and text commentaries that go into more depth on the symbolism and divination uses of the I Ching's Hexagrams. If you are interested in joining the Yi Fa Society, please get in touch. Sincerity is essential to effective practice. The I Ching is interesting in how it has various ways to make it harder for you to lie to yourself, but it is not fool-proof in that regard, since someone who really wants to get a result that just tells him what he wants to hear will find ways to 'cheat' to do it. In the Magician's I Ching Facebook Group, there had been a discussion on the question about whether a casting could ever be wrong. It was argued that it could not. I would definitely agree: an I Ching casting, if performed correctly, will not be wrong. Technical error or imperfect methods can make it less accurate. But that aside, the problem is in two things: the question before the casting, and the interpretation after the casting. If you are asking the wrong question, or asking a question in an imperfect way, the I Ching's result could be wrong (de facto, rather than de jure; it will be the right answer to the wrong question in the first place). If you ask the right question but lack either the ability or the will to interpret it correctly, then we will be unable to make use of the (correct) answer. 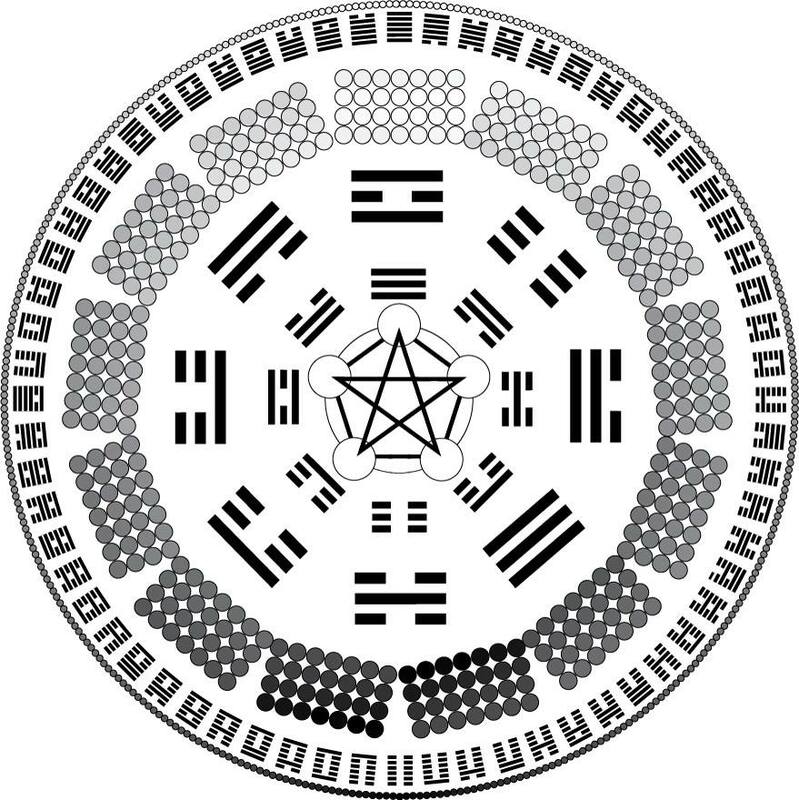 There's frequently some confusion in those who study Chinese mysticism/magick, in that there are eight trigrams in the I Ching, but in the greater system of esoteric teaching there is also something that is often defined as the "five elements". The initial and superficial similarity between this and the five classical elements of western esotericism (earth, air, water, fire and spirit) cause a lot of confusion. Regarding the "5 elements": the problem that has caused this confusion relates to the use of the term 'elements'. Because what we usually call in English the 'five Chinese elements' are NOT in fact 'elements' in the sense of the five elements in western occultism! The '5 Chinese elements' are actually five 'phases' in the cycle of generation to putrefaction. The equivalent of the five elements of western occultism (earth, air, water, fire and spirit) are the Eight Trigrams. The eight trigrams are divided in two parts: the four terrestrial trigrams correspond to the elements of Earth, Air, Water and Fire; while the four celestial trigrams correspond to Spirit (you could say "spirit of earth", "spirit of air", "spirit of water" and "spirit of fire"). Then, the 5 chinese elements (the 'wuxing': wood, fire, earth, metal and water), which were most likely first developed in the alchemical teachings of the School of Yin and Yang (around 500 years after the Zhouyi text, the core of the I Ching, was written), correspond to the western 'alchemical elements' (Salt, Sulfur, Mercury). And likewise to the 3 gunas in Indian mysticism. 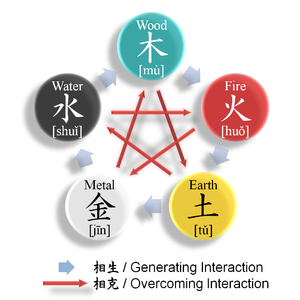 There are five of these, rather than three, because in the Wuxing system you have three process states (Wood, Earth, and Metal), and two transitory states (Fire and Water). The process states represent Generation, Plateau, and Decline, while the transitory states represent the moment of peak Flowering and the moment of fullest Barrenness (that is to say, the peak-state and the nadir-state). Thus, while the Five Phases look similar to the Five Western Elements, it is in fact representing a totally different esoteric concept, much closer to that of the "alchemical elements" of western occultism. And it is the Eight Trigrams which are the equivalent of the elements of western occultism. So you see similar concepts, presented in different ways. Like different languages to describe similar concepts. This is because the thing being studied is real; it is based on the study of reality, the natural universe, and the universal human condition. So the findings will be the same. But the expression will be different because of differences of distance, history and culture. This is discussed a bit further in teachings of Levels 2 and up of the Yi Fa Society.